Fellow fans of “Svengoolie” on Me-TV will be excited this Sat. when he will showcase a spooky farce from 1949 with three silver screen legends. 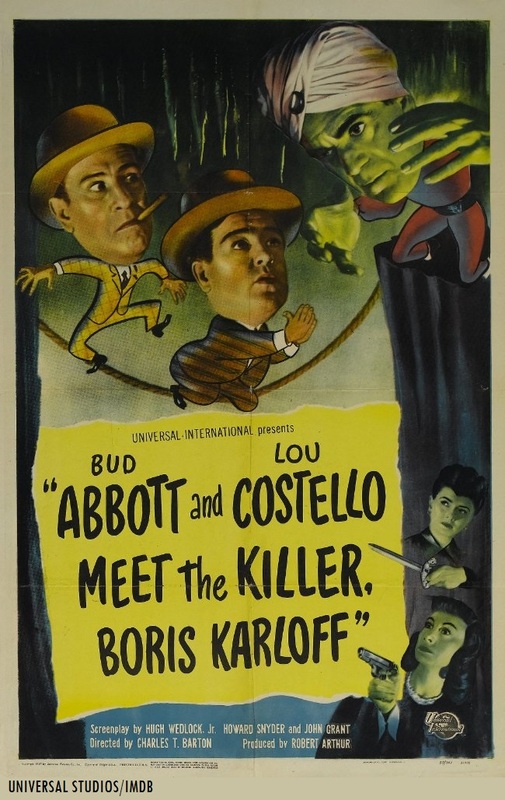 The legendary Chicago-based horror host will be showing the 1949 Universal mystery/horror comedic feature, “Abbott & Costello Meet the Killer, Boris Karloff” this Sat., May 27 at 10 p.m. Eastern/9 p.m. Central on Me-TV. According to his official website, Sven had previously shown Abbott & Costello’s first encounter with Boris Karloff back in March 2012 on Me-TV (Me-TV came into the Frederick/Washington, D.C. viewing area in early 2013). The film was directed by Charles T. Barton. and was released after the duo’s smash Universal monster farce, “Abbott and Costello Meet Frankenstein” (1948 which featured Glenn Strange as Frankenstein’s monster, Bela Lugosi in his second and final appearance as Count Dracula and Lon Chaney, Jr. as Lawrence Talbot/The “Wolf Man,” opposite the comedic team). Sven had previously shown “Abbott & Costello Meet Frankenstein” back in Oct. 2014, April 2015 and Oct. 2016 on Me-TV.